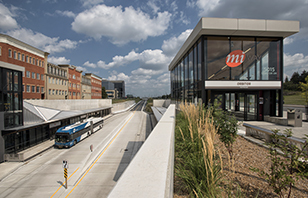 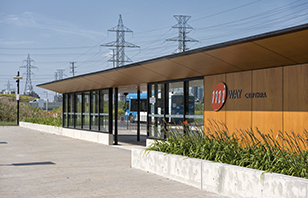 MiWay express route 109 - Meadowvale Express will stop at Winston Churchill station, which means that you can now travel along dedicated bus lanes from Etobicoke Creek station in the east to Winston Churchill station in the west. 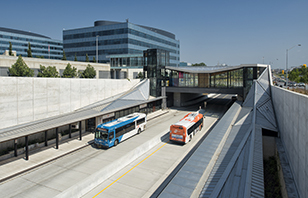 Sunday service is also available on this route as of January 8, 2017. 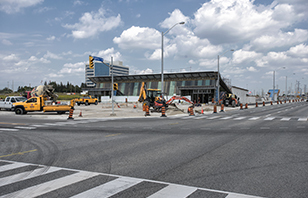 4450 Tomken Road - Located on the northwest corner of Tomken Road and Eastgate Parkway. 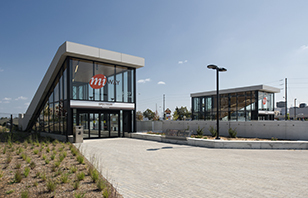 4440 Dixie Road - Located on the northwest corner of Dixie Road and Eastgate Parkway. 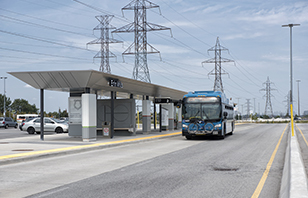 1915 Eglinton Avenue East - Located on the northwest corner of Tahoe Boulevard and Eglinton Avenue. 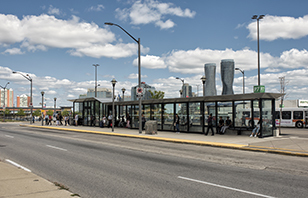 Located on the northeast corner of Orbitor Drive and Eglinton Avenue W.
Renforth is the final, eastern most bus station along the Mississauga Transitway. 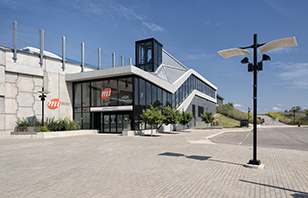 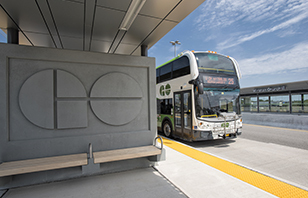 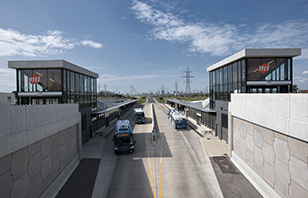 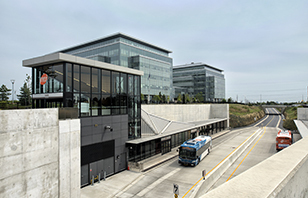 Customers at Renforth have access to GO Transit, MiWay and TTC bus service, can expect much more consistent travel times along the 18km transitway and; have a direct way to get to Toronto Pearson International Airport – only minutes away. 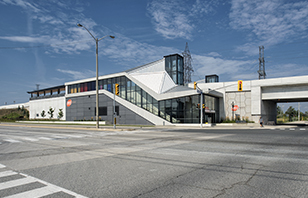 200 Rathburn Road West - Located on Station Gate Road and Centre View Drive.